Jehan Mubarak (born 10 January 1981 in Washington, DC, United States) is an American-born Sri Lankan cricketer. He is a left-handed batsman and a right-arm offbreak bowler. Educated at prestigious Royal College Colombo, where he won the coveted Royal Crown for cricket and won colours in water polo. He holds a degree in Chemistry from University of Colombo. Mubarak was initially spotted at a Cricket training camp in Dambulla by former players Arjuna Ranatunga and Aravinda de Silva, and subsequently labeled one of the brightest future stars of Sri Lankan cricket,. His father is Dr A M Mubarak. After being a prolific run scorer in school yard cricket, though only playing a handful of first class games, Mubarak was eliciting comparisons to West Indian cricket icon Brian Lara for not only his graceful batting style but also for his ability against spinners. Jehan started his sporting career as a swimmer and then became a cricketer. He swam for Royal College and competed at National Level swimming competitions by representing his alma-mater. Mubarak specialized in short distance swimming and won the national championship in 50 meter butterfly stroke. In 2006–2007 Jehan swam for Sri Lanka National Swimming meet and after finishing his semi-final heat he opt out from final event to participate in Sri Lanka national cricket team practice. 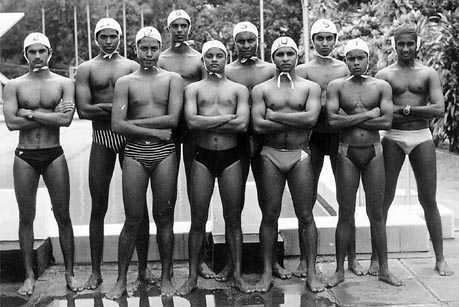 Mubarak also led the Royal College Water Polo team during his time at Royal College. Mubarak was involved in an accident on 22 April 2012 while driving back from Wilpattu National Park; he was arrested as the result of a head-on collision which killed a motorcyclist.